A lot of the emails and comments I receive in confidence take umbrage with the “attacks” on the NFL and major sports. I can see that angle and appreciate the candor, however it is those entities that we will gain the most profound guidance and acceptance of this brain injury. 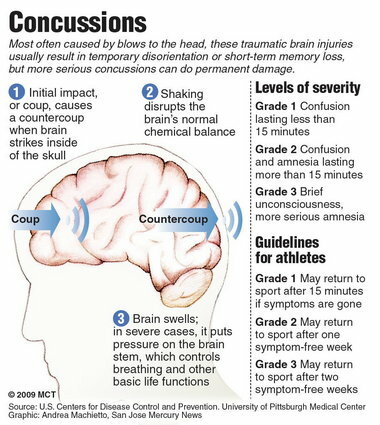 Televised sports are the best opportunity to educate and inform because they are the perceived “leaders” in the area; they have the most resources to attack concussions, right? Rather than “attacking” the sports we all love I am using it as a vehicle to explain the injury and its manifestation all the way though recovery. These are the type of things we have been saying for some time here, and it is truly nice to see others helping out. So if you read this: Mr. Carroll, Mr. Florio, Mr. Schwarz – THANK YOU. And especially thank you to all the other readers of this blog perhaps we can get this thing figured out!